So, I was just talking with my friend Keri. and she was voicing her frustration over how too many SEOs waste a lot of their time building content and links on services that are likely to be devalued or disappear all together. For example why the heck were so many upset with Squidoo for nofollowing links?? I mean seriously why would anyone use them to get links in the first place? This conversation got me thinking about how each SEO approaches the link building process from a different perspective, and valuing link prospects is sometimes a difficult task. There are many different ways to assess a prospect’s value. There are three things I think about when assessing link prospect value. How much trust will the link transfer? What is the expected longevity of the link? Whats the value outside of SEO? While these three areas are what I typically look at, there’s only one question that really helps me answer all three. How easy is it? When a link is hard to get it means it has value. When a link is easy to get it probably won’t hold much value. Here are three easy links to get that hold little to no value. Leveraging social media is vital for internet marketing. However using social media just to build links is a bad idea. What does Twitter and YouTube have in common? When they both started they allowed dofollowed links. Spammers found out about this and started quietly using them for link building. Then in the case of twitter someone wrote a blog post about getting links from Twitter. At that point the flood gates opened and everyone and their grandmother was spamming the crap out of Twitter. Twitter quickly nofollowed all links. With YouTube, it was the same case, except this time it was a speaker at a well know link building conference that talked about how easy it was to get links from YouTube. As a result YouTube made all links nofollow. This same story happens almost with every social media site, even Pinterest, and now Squidoo. I am counting down the days til we see the same thing over at Google+. Lesson: Social media links are easy to get, everyone will take advantage of them until they are all rendered useless. These types of links are really what you make of them. Some links from guest post are going to be awesome, and some, not so much. Once again the best way to assess the link value of a guest post is to ask yourself how hard would it be to get a guest post spot? For example, lets say in my list of prospects that I am going to pitch guest posts to, there is The Harvard Law Review and this mommy blog. Which do you think would be harder to land a spot on? If you guessed the Harvard Law Review, you guessed right! And as a result of the insane level of work it would take to land that spot, the link would be a higher value. This is because it is an exclusive publication with extremely high editorial standards. The work required to land that link, is worth it. In fact, even last year Google said that spammy guest post can get devalued. Lesson: Guest post that are easy to land are not as good as ones that take a lot of work. The easier they are to land, the less quality they are. Have you ever gotten a link from Wikipedia? If so, congratulations! Not many are able to get a link on Wikipedia because their community of editors are extremely strict about the content and quality of the links. However, if you go looking for a lesser known wiki, you are likely able to have an easier time getting a link because their editors aren’t as diligent. As a result of being less diligent, their content standards are lower and they attract less inbound links and traffic. The extra work needed to get that Wikipedia link is worth it when you consider the difference in link value. Lesson: Pleasing stricter editors by jumping through their hoops can land some awesome wiki links. Shooting for low quality wikis with little standards will result in worthless links. The next time you are prospecting for links, remember to put the “hard” links at the top of your list, they are the ones with the most value, and will yield the biggest return. This is valuable information. I’ve never really thought about the importance of really sizing up the value of each individual link. Definitely something i’ll be thinking about from now on. I think one thing will always remain constant: slow and steady wins the race. The shortcuts of seo will always be short-lived and likely come back to bite you. When it comes to guest posting you need to be careful about how you approach it. It could be viewed as a link exchange if you go about it the wrong way. Look for sites that appeal to target audience members and that can actually get traffic back to your site. Maintain the relationship and post on a regular basis so it doesn’t look like you were just going for a quick link. 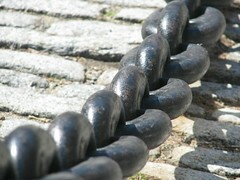 My Little Secret To Assessing Link Value @NinjasMarketing http://t.co/InakbZOHCx @joehall Awesome post. Couldn’t agree more about SM links. Good points. Hopefully, it’s true that we don’t need a lot of links anymore–just quality as you say.